Have you been looking for that perfect weight loss center? Then look no further you have found Cherry Creek Weight Loss the premiere Cherry Creek Weight Loss Center. We have many different weight loss programs available for you Denver, CO residents. Our programs consist of a combination of Phentermine, Optifast Diet, LeanGenics Diet System, LipoLean Injections, LipoEnergy Injections, Lipotropic Injections, B12 Injections, Supplements, and Nutrition Counseling. At Cherry Creek Weight Loss we are constantly evolving with our programs so expect alot more weight loss services in the future. 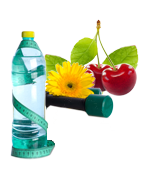 If you are looking for the best Cherry Creek Weight Loss Clinic then call us now or Book Your Appointment from our website.